New Holland Construction now offers unlimited hours within the first year of its new standard two-year, 2,000-hour full machine warranty on SuperBoom skid-steers and track loaders. 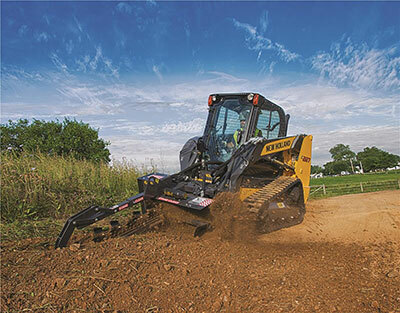 This warranty update covers all newly purchased 200 Series skid-steer and compact track loader models. New Holland’s full line of seven skid loader models and four track loader models, produced at a manufacturing plant in Wichita, Kan., are included in this warranty protection.